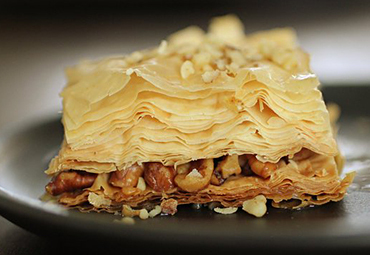 A rich Greek and Middle Eastern pastry consisting of sheets of phyllo layered with chopped walnuts, and cinnamon, baked, and soaked in a honey or sugar syrup. 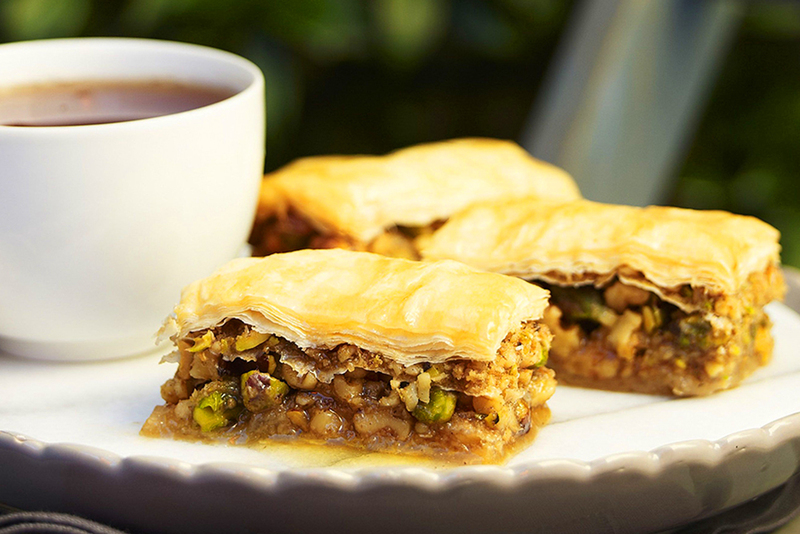 A rich Greek and Middle Eastern pastry consisting of sheets of phyllo layered with chopped pistachio, and cinnamon, baked, and soaked in a honey or sugar syrup. 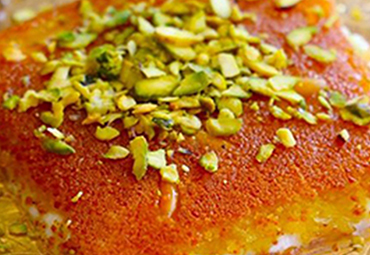 Kunafa is the Middle East's version of a cheese danish. 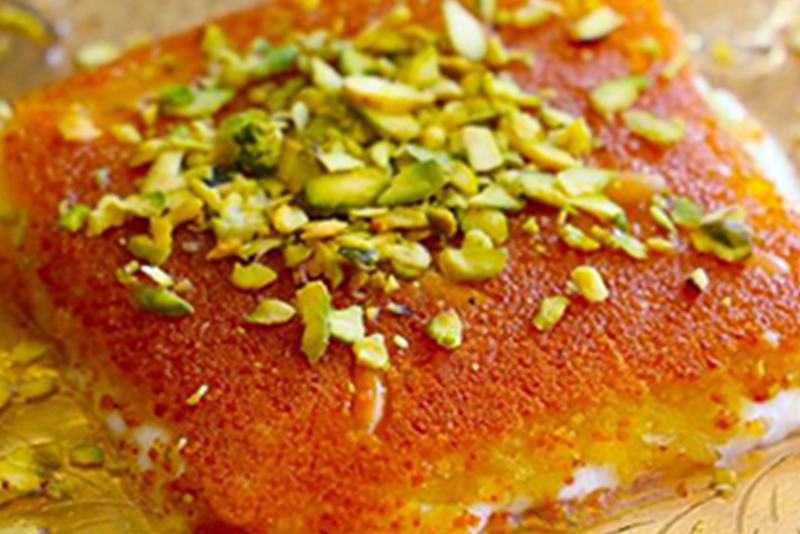 Its base is mild, stretchy white sweet cheese, very like fresh mozzarella or paneer, with a topping of rich semolina pastry, all soaked in sweet rose water syrup. The sweet is baked in giant cuts and sizes. The Vine is proud to offer the freshest food possible to our customers. Everything we serve is made fresh every day.